Lisa and I spent two weeks in the mountains of Tennessee and North Carolina back in August 1993. 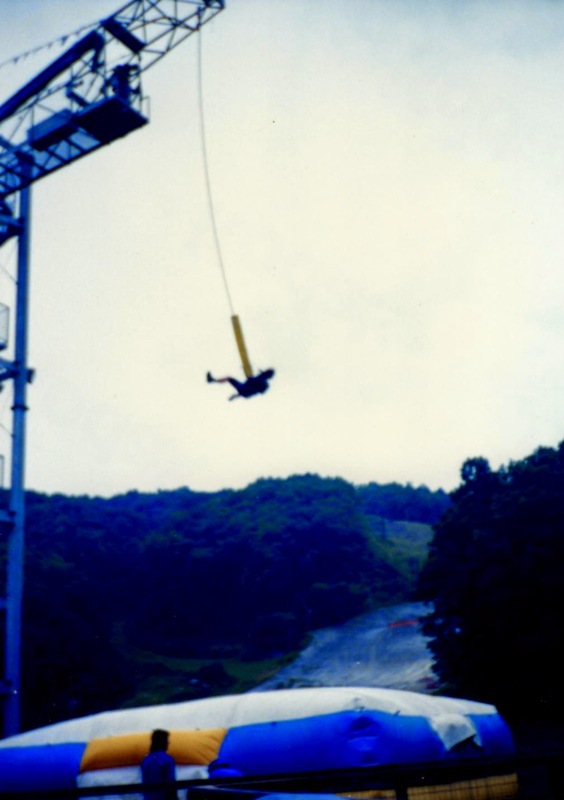 We spent an afternoon at Ober Gatlinburg and I couldn't resist the bungee jump. The poor woman who went right before me wet her jeans on the way down and she was crying hysterically as I made my way up the 90 steps to the top. I wasn't nervous or even afraid of the heights, my only concern was that my life was in the hands of a couple giggling teenagers who were working their summer vacation jobs. As the "kids" gave each other the thumbs up and told me I was a "go", I tried to quickly double check everything they did before I took the one step down.